Iceland midfielder Eggert Jonsson has agreed to join Wolves from Hearts on a three-and-a-half-year contract from 1 January. The 23-year-old successfully negotiated terms after a fee believed to be around £200,000 was agreed between the clubs. Wolves boss Mick McCarthy said: "We've been watching Eggert for a long time and he has impressed our scouts. "He's a versatile midfield player who can play in a number of positions comfortably." Jonsson, who can also play at full-back and centre-back, joined Hearts from Icelandic Second Division club Fjardabyggdar in summer 2006. He has since made more than 150 appearances for the Scottish Premier League club and was voted player of the year by Hearts supporters for the 2009-2010 campaign. Now, having won 12 full caps for Iceland and also represented his country at Under-17, Under-19 and Under-21 levels, he will join former Hearts defender Christophe Berra at Molineux. "He's a good player now, but he's also one of those at an age where he has got more improvement in him and should get better and better," McCarthy told his club website. "Playing alongside better players in a better league will only help him in that respect. "He will be a good addition to the squad." 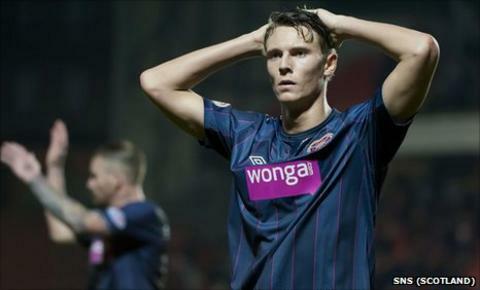 Jonsson becomes the latest player to exit Tynecastle since financial problems led to a delay in salary payments and to owner Vladimir Romanov announcing that he was willing to sell the Edinburgh club. Former Scotland Under-21 striker Calum Elliot, goalkeeper Janos Balogh and youth player Dale O'Hara earlier this month negotiated an early termination of their contracts, while winger Andrew Driver has announced his desire to find a new club. Ipswich Town and Watford had also been keeping close tabs on the development of Jonsson. Jonsson, who passed a medical ahead of last night's Premier League meeting with Norwich at Molineux, said: "I'm looking forward to getting started, getting into training and then fighting to get into the team. "It's all happened quickly and, as soon as I knew of Wolves' interest, I was really excited and saw it as a great opportunity. "I've been up in Scotland for a long time and feel ready to take the next step." Hearts wished Jonsson well ahead of his move to England. "This is a chance for him to take a major step up in his career and we wish him all the best for the future," said a club spokesman.